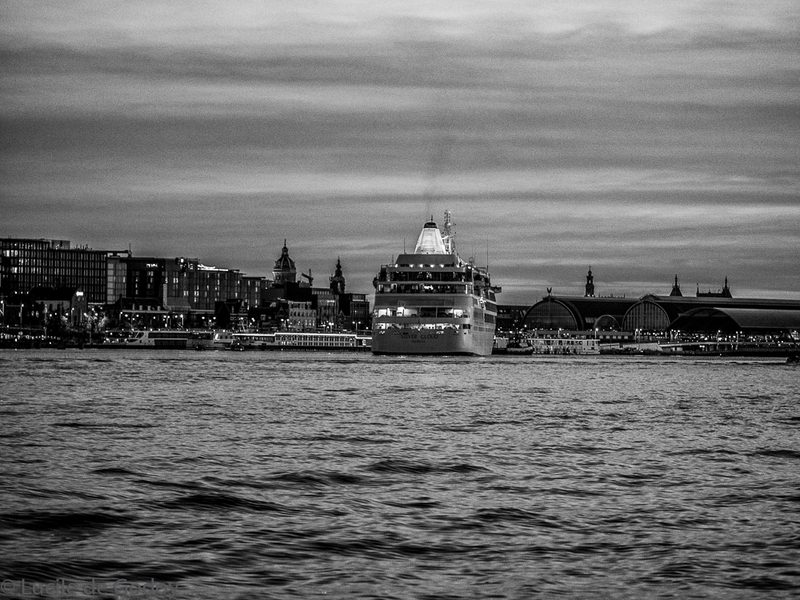 As the night falls, I am looking at Amsterdam in contrast with a cruise ship leaving the shore. I am also on a boat (smaller though), experimenting with night photography for another post coming up soon. I am linking to Paula’s Black and White Sunday: Cityscape. Which one do you prefer? And these photos go also to the Photo Rehab. It’s the same photo as the first, as featured image. Thanks for your comment, Anna. I like the first photo…just a tad crisper than the third. From a moving boat, you did very well, Lucile. I think I agree with Lois but I like the composition in the second shot. Both are lovely views of your wonderful city x.
That’s a hard assignment that you set for yourself. Dusk is particularly difficult. The low light and movement make it a real challenge. Great way to learn and sharpen your skills. The first photo is stunning. It’s mysterious and really edgy. I love it. Definitely my favorite, though all are great shots. I love both shots. They both have a very own Charm. They’re great photos Lucile. 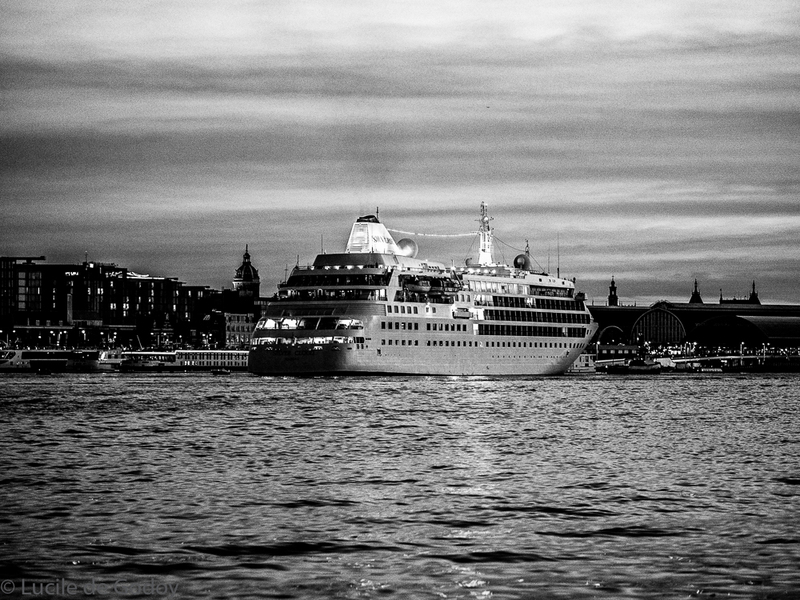 The cruise ship adds an element of interest to the traditional cityscape. Hi Lucile! I love all these ship pics and they’re even more dramatic in black & white…Wow, that is a big ship and kudos to you for snapping these pics while being in a moving boat yourself! While all these pics are great, the second one is intriguing because it gives the action of the ship leaving the port…or perhaps arriving? I like the angle…looks like it is directly coming towards the viewer! Hope all is well with you…I’ve been on a break from work and it’s been so nice to be home…I’m back to work on Wednesday so vaca is over…Oh well! I like them all, really hard to pick a favourite. Sorry to have missed your link Lucile. Thank you, Paula. I’m sure you were in bed already! No need to apologize! I was late! It’s pretty warm and nice, but I guess here is cooler than there! Hmmm, I think I like the third one best, but they’re all good, Lucile. Thank you for dropping by and commenting. That was a very insightful comment, and it was much appreciated.